Sharing some happy mail delights I've received recently. 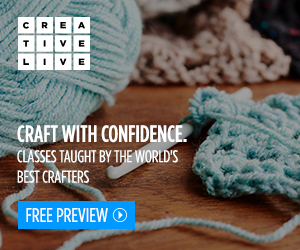 Grab a cuppa, I have a lot to show you! 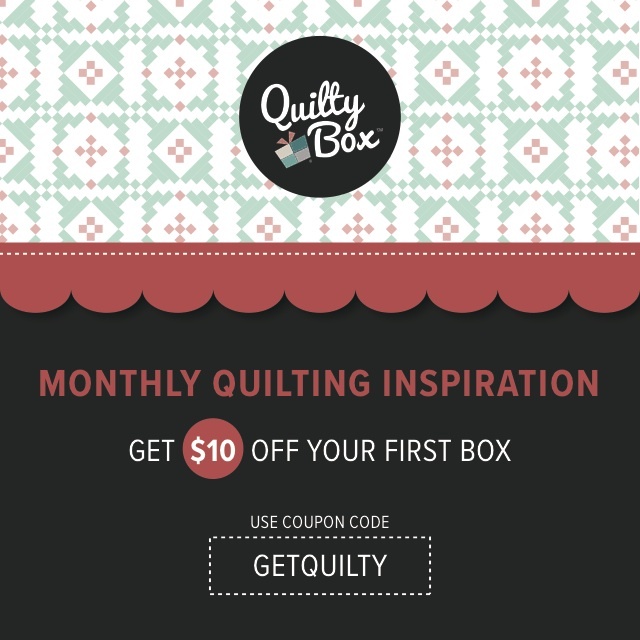 I'm working hard on secret makes so no finishes just yet but it always nice to nosy at people's recommendations and fabric stash additions. And just to be clear none of this is sponsored or affiliated, one item was a gift and the rest I bought myself. 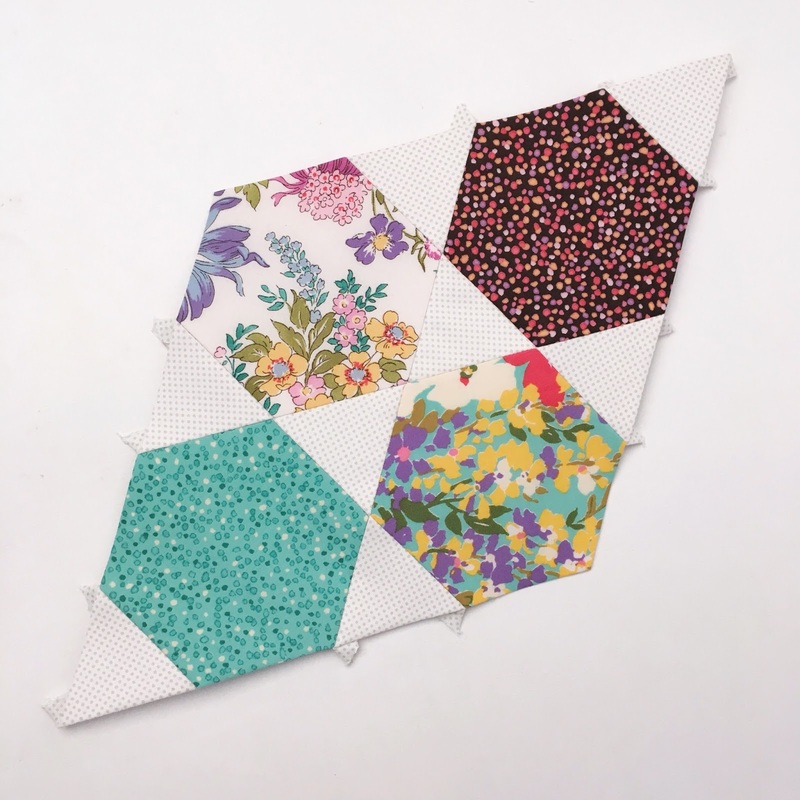 I have been doing a lot of hand sewing; like the demo of the lovely Hexie Kisses pattern by Jen Kingwell (above), embroidery, working on my own epp and hand piecing projects. Combined with all the cold weather we've had over winter, my dry skin was really acting up. I have always had dry skin and sometimes it gets itchy and can even crack. I'm really careful about what I put on my skin, trying to avoid chemicals like SLS, because it's sensitive. 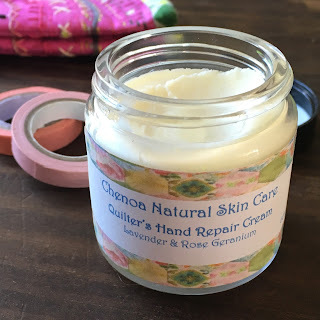 After chatting on instagram to fellow quilter Tracy - who created Chenoa Skin Care out of a passion for natural skin care - she very kindly sent me a jar of her Quilter's Hand Repair Cream. 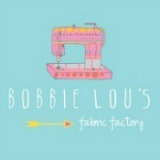 I've been good at using it, keeping it where I sew and reaching for it most days. My hands feel so soft and for the past month I haven't even had one dry patch! It is rich, with a soft creamy texture that rubs in nicely with no stickiness or oiliness - important when there's sewing to be done. I currently have some nail oil I use at night but once that's finished I'm getting the cuticle and nail balm because I still need help there too! Also it's nice knowing exactly what's in these products (without having to google the ingredients) and to support a small UK business. Did you know you should apply hand cream to the back of your hands first and then rub it in? It's the best way to combat dryness, any signs of ageing and it means the majority of the product goes where you need it! I showed you how I decorated my machine with stickers and washi and this was one of my favourites. I am Strong vinyl sticker from Goats & Totes. 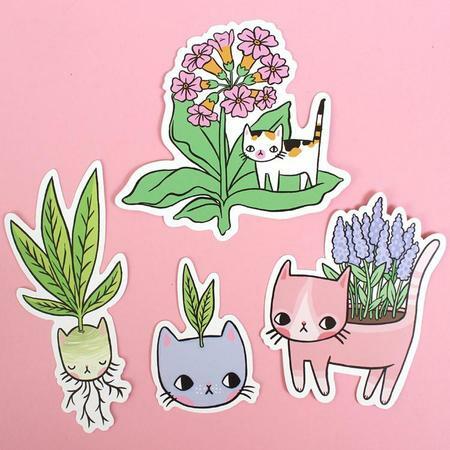 I couldn't resist this adorable cat pin, Barbara Catworth from Prints of Cats - this is my husband's online shop filled with the cutest cat stuff! I didn't tell him I was buying it but I had to snag one. I've worn it a few times and now it travels with me on my sewing bag. It's so pretty and I adore that calm expression. Now on to the fabric... First I got some Kona Fog from Simply Solids. Very difficult to capture but it's the loveliest blue/grey, actually the name is the perfect description. 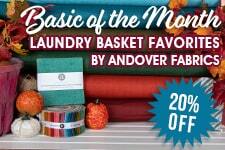 My gosh they stock a lot of solids, I could spend hours browsing!! 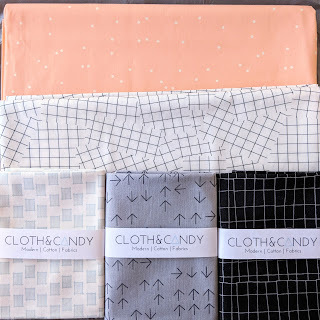 I got very excited at seeing my favourite dot print in another colourway, a lovely peach, at Cloth & Candy. 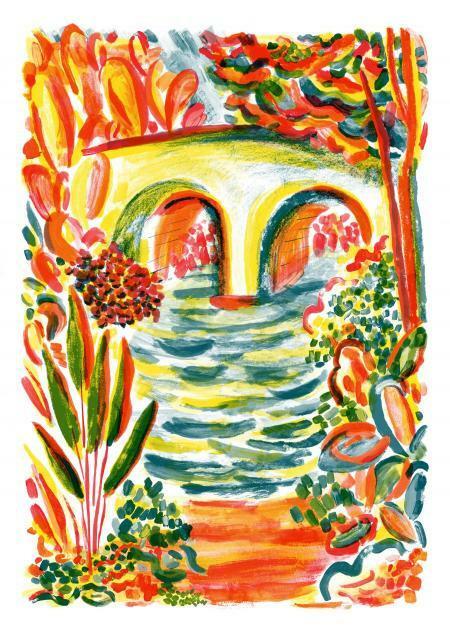 Honestly I wish Art Gallery Fabrics would release this print as a whole line in lots of colours, it's that good! I also had to have these cool grid prints and a couple of low volume/neutral prints for good measure. from top to bottom / left to right: Firefly in Beam, Forest Floor by Bonnie Christine; Phonographic Grids, Raise the Volume by AGF Studio; Looming Stone, Bound by April Rhodes, Arrows, Color Dash by Heather Jones and Mini Grid, Adventure Awaits by Wee Gallery. Jess made a cool storage tub using metallic washable paper and I had to get some! 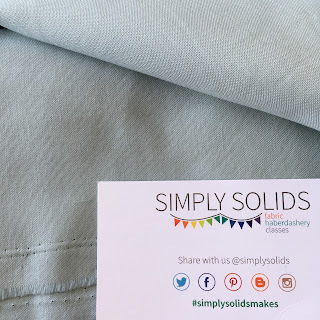 I've used Kraft-Tex before, I made my husband his wallet with it - yes he STILL uses it one and a half years on and loves it - find my simple card holder tutorial here. This rose gold fabric paper is just for me though and I have a plan. I also got these cute little alphabet stamps because I like stamping on paper and fabric! And I fell for this watercolour fabric print, it's a cotton rayon blend but I'm still using it for patchwork. 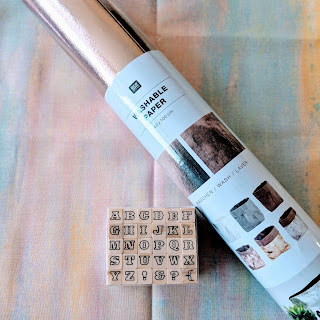 Washable Paper in Rose Gold, Outline Circus Alphabet Stamps and fabric: Watercolour, Fabric Menagerie by Rifle Paper Co. all from The Makery. 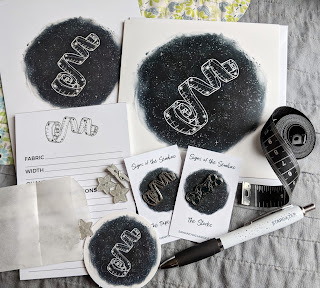 Today I got my third Signs of the Sewdiac box from Sew Crafty. 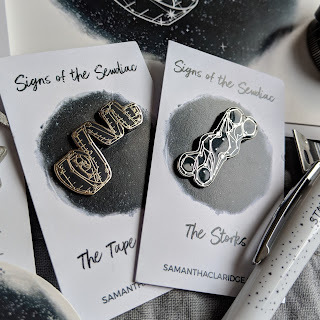 This amazing range has all been designed by Samantha Claridge and this month it is the tape measure! Yet again the box was full of useful items and I'm just as crazy about this design as the others. The quality of the pins is outstanding! Phew, that's quite the haul! I'm off to play with fabric now. 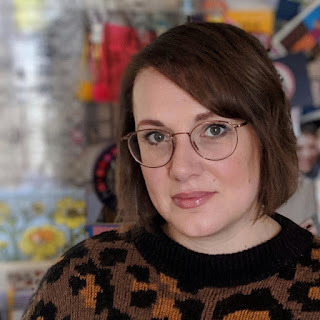 If you are in need of gifts or a treat for yourself please consider supporting these independent shops, click a few of the links for a browse! 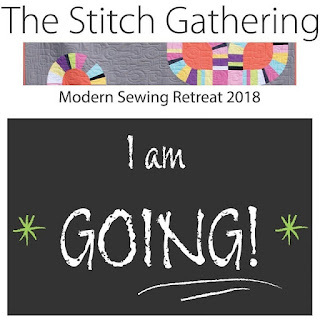 Oh and tickets for The Stitch Gathering organised by myBearpaw are now on sale, click here for more info. I have some of those alphabets, three I think. It's great until they all fall over the floor! I love natural hand creams too, I generally stock up on craft produced ones when I can. And now I know where to buy cat related presents for my two cat loving daughter in laws. 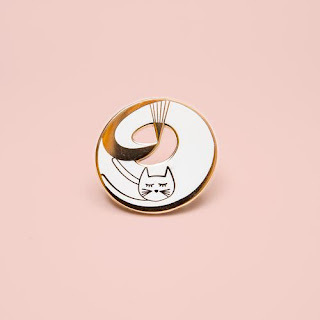 I bought the cat owner some wee fabric cat brooches from the conran shop last Christmas, and I think the would be cat owner was slightly miffed! Teaching at The Stitch Gathering 2018!